First of all, I need to make it clear - I am not a photography pro/amateur/barely even a beginner. I'm very very new to this all, so this 'review' is just my first impressions. I'm aiming to learn as much as I can, and practise and work on my photography as much as I can. So basically - please don't take this too seriously! Over the past few months I've been saving slowly but surely to purchase a little camera for myself. 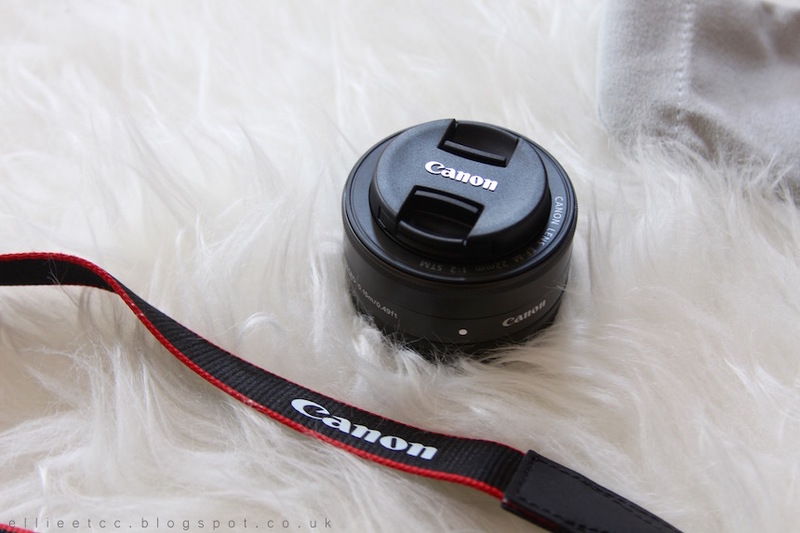 Partially for ellie etc's benefit, I'm always looking for ways I can improve my content; but also as I'm very interested in starting working on photography skills aside from the blogging. 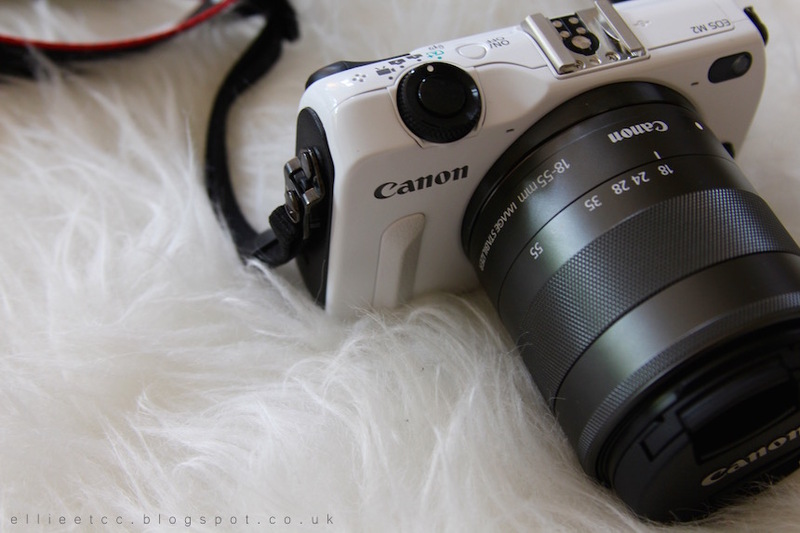 This little beauty - the Canon EOS M - was recommended to me by both my dad and brother, both of whom are very into their technology - my brother's camera being the main camera, a Canon EOS 600D, used for pictures for ellie etc. After only having this little gadget for little over a week, I feel like I could already recommend it. It's a perfect size to pop in an everyday bag to carry around on the off chance something photograph-worthy pops up in sight. The kit I opted for came with a 18-55mm lens, the generic, most every-day lens to use, a zoom lens. 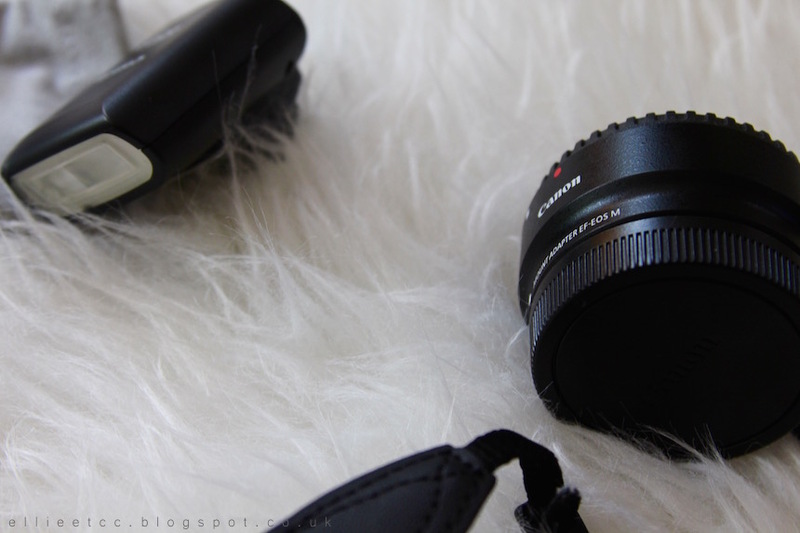 Also a 22mm lens, this one is a prime lens so does not zoom, but usually gives a clearer depth of field (i.e. when the background goes fuzzy and the subject is in focus). 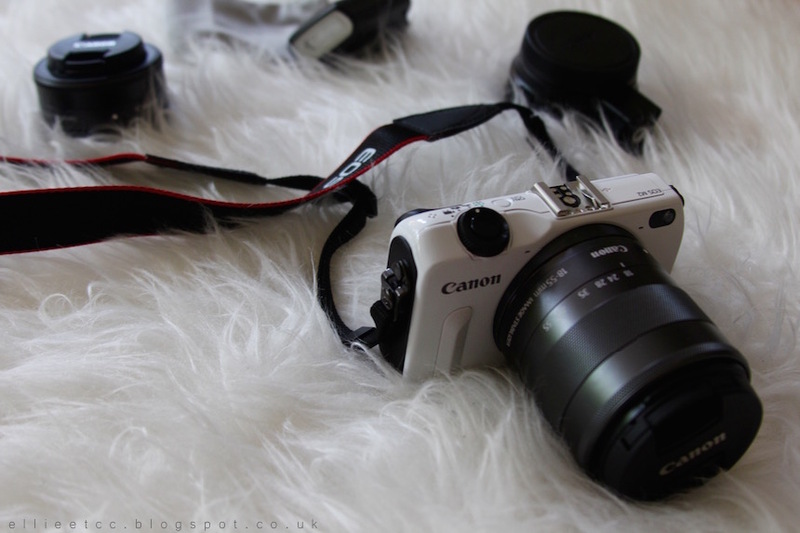 My kit also came with an EF-EOS M Adapter allowing me to use my brother's EOS 600D lenses (which, bless my little camera, are huge compared to it!). Also a separate flash which I am yet to experiment with. I really am at a very low beginners level of photography, so again, just a reminder that my advice my not be 100% accurately written. If anyone has any tips or good websites (or even corrections if I've made any mistakes in this post - eek!) that you think would help me out, please leave the links below!